Today we have a great example of a polling firm allowing its political ideology to get in the way of its work. 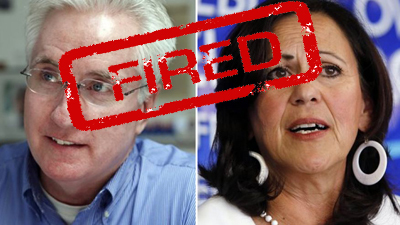 On Tuesday, Sept. 10, two anti-Second Amendment State Senators in Colorado were recalled by huge margins. In the days before the recall vote took place, Public Policy Polling (PPP) had conducted a poll that showed that the senators were about to be eliminated by voters but the firm refused to publish its own poll because the left-wing pollsters couldn’t imagine the results could possibly be right. Colorado just couldn’t be that right-leaning, PPP thought. Firstly to explain what occurred in the recall vote, and this is a great victory for Second Amendment supporters, too, we need to expound a bit on the whole thing. State Senate President John Morse and fellow Senator Angela Giron were two principal supporters of the strict new anti-Second Amendment gun laws that were forced onto Colorado in the aftermath of the shooting in an elementary school in Newtown, Connecticut. But Morse and Giron pushed these anti-gun laws contrary to the wishes of their own constituents. After the laws were forced down Coloradan’s throats, both Morse and Giron admitted that they ignored their own voters and did so for their own good and were proud that they did so. A recall effort began almost immediately and both were successfully cast into a recall election by local, grassroots organizers who gathered the requisite number of signatures to get the recall elections scheduled. But in the run up to the recall elections hundreds of thousands of dollars in political spending flooded the two districts. Most of this outside money was from left-wing organizations attempting to defeat the local gun-supporters and their effort to recall the two senators. The recall election became an important battle ground between the constitution-hating left and supporters of the Second Amendment. On September 10, the recall election was held and both were recalled handily. It was the first time any state lawmaker has ever been recalled. Now, back to the polling company PPP. In a new statement, PPP President Tom Jensen admitted that his firm had conducted a poll that showed that Giron was going to be recalled by a 12 point margin. But PPP decided not to report their findings because they just couldn’t believe the results of their own poll. We did a poll last weekend in Colorado Senate District 3 and found that voters intended to recall Angela Giron by a 12 point margin, 54/42. In a district that Barack Obama won by almost 20 points I figured there was no way that could be right and made a rare decision not to release the poll. It turns out we should have had more faith in our numbers becaue [sic] she was indeed recalled by 12 points. Another reason PPP didn’t release this poll showing a Democrat getting creamed by supporters of the Second Amendment? Because it made Giron look bad, of course. But this shows that ideology is more important to PPP than polling results and this statement casts a shadow over all of PPP’s work. The sad fact, here, is that the media often reports the results of PPP polls as if it is non-partisan news. But PPP was started by extremist left-winger and Democrat shill Markos Moulitsas with the idea of aiding the election of Democrats. This whole incident is illuminating. David Freddoso also has a great post on this incident.